According to its Constitution, Malaysia has to hold its next general election by Aug 24, 2018. That is still almost two years away. And yet, rumours of early elections persist, both at the state and federal levels. This needs some explaining, given how Prime Minister Najib Razak waited until almost the last minute to go to the polls back in 2013. The exercise to delineate constituency boundaries now being concluded heightens speculation that early polls are coming. Having lost its two-third majority since 2008, the ruling Barisan Nasional (BN) has not been able to increase the number of parliamentary constituencies; it is now able only to realign the existing ones – or rename them. And that, it is doing. That in itself is a substantive exercise of power, especially with the independence of the Election Commission that is in charge of the delineation being in serious doubt. The major argument for those predicting that elections will be held by mid-2017 is that the opposition is in a confused state, if not in disarray. And so, before they can get their act together, the chances of Datuk Seri Najib holding his ground and maintaining at least the same voter support that he had in 2013 are good. By hook or by crook, his administration has survived the many aspects of the 1Malaysia Development Berhad (1MDB) scandal, at least for now. By sacking key dissidents from Umno, especially his former deputy Tan Sri Muhyiddin Yassin, he has consolidated his hold on the leadership of the party. Victory in the Sarawak state election held in May and in two recent by-elections in June, one in Perak state which it marginally controls and the other in opposition-controlled Selangor state, also brought some comfort for the BN coalition and showed that the Malay ground remains encouragingly loyal. Also, the anti-BN votes in the by-elections were split down the middle between Parti Islam SeMalaysia (PAS) and its recent splinter party, Parti Amanah Negara. Having this indication that the Malay opposition to Umno is badly split, and convinced that the PAS leadership is now more willing than ever to negotiate with it, BN has all the more reason to dissolve Parliament earlier rather than later. While the founding of Parti Pribumi Bersatu Malaysia (PPBM) in August by Mr Muhyiddin and former prime minister Mahathir Mohamad to oppose Umno may look like further fragmentation in Malay politics, the danger that PPBM poses to the ruling party is more real than in the case of Amanah. PPBM has the clear tactical goal of enticing Umno’s middle rank to defect, and the numbers who jump ship do not have to be big for sufficient parliamentary seats to go to the opposition. There have indeed been some defections at the grassroots level, and it therefore makes good sense for BN not to take chances and instead plan for early elections to pre-empt any momentum that PPBM might be expected to gain. Umno and its allies cannot count on the opposition staying disunited and confused in the coming months. But how is the opposition to unite, and quickly? The initiative seems to be with PPBM at the moment. The other opposition parties find themselves paralysed by internal disagreements – many over how they are to relate to Tun Dr Mahathir and PPBM. Furthermore, the fact that they have held power at state level for the last two terms (and more in the case of PAS in Kelantan state) makes them liable to strong criticisms over governance issues, especially as an election campaign approaches. Their moral high ground is definitely not as unassailable as it was one election ago. Into that leadership vacuum steps Dr Mahathir and PPBM. Dr Mahathir shaking hands with Anwar Ibrahim in public, and the two former allies and former foes signing a joint statement against the National Security Committee Act stunned many on all sides of the political divide. PPBM has also put forth the idea that the country’s prime minister should not be allowed to stay beyond two terms. It also proposed that as a tactical move, a common election logo be adopted for all the opposition parties so that the choice for voters would become a simple one between BN and whatever the opposition group calls itself. Dr Mahathir’s son, Datuk Seri Mukhriz Mahathir, has suggested “Barisan Rakyat”, which he claims is a name netizens prefer. At present, the Democratic Action Party (DAP), Parti Keadilan Rakyat (PKR) and Amanah group themselves under Pakatan Harapan (PH). If the electoral pact were expanded to include PPBM – and more unlikely, PAS – a new name may be needed. So, it could be BN versus BR, or BN versus PH. 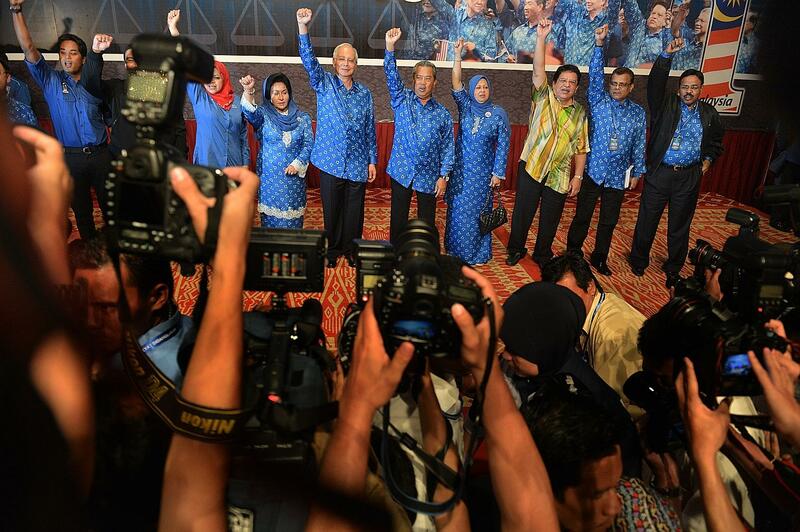 Whichever strategy they choose, and whatever forms of coalition building they may come up with, the opposition parties will have to avoid three-cornered fights if they are to convince fence-sitters to buy into their ambition of toppling BN and Umno. Supposing that Mr Najib is convinced that he will be returned to power, the next target for BN’s electoral strategy – and that is always on as broad and deep a front as one can imagine – will be to regain the rich state of Selangor. Already, pundits are detecting in dismay that, all else being equal, the delineation exercise will in itself push seven seats into BN’s hands. The DAP’s hold on Penang is also not as strong as it was after 2008, and gaining any ground at all in that rebel state will be a breakthrough for the BN. The national economy is not doing well either, and before it gets worse, it would be strategic of Mr Najib to go to the polls. The Budget that will be announced next month will provide clear signs as to whether elections will be called in the first half of next year, or if Mr Najib will once again wait as long as he can. Pressure from within and from outside the country is building up, and the longer he waits, the less the options open to him become. « Time for Anwar to accept Mahathir’s olive branch?